Size: approx. 25 mm. Photo: 08/27/14, 10 pm. 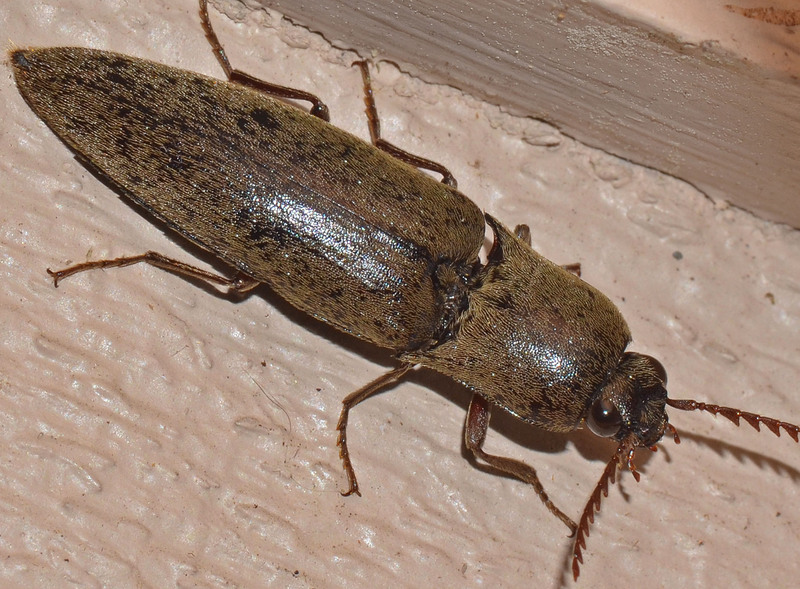 A "hairy" and rather large click beetle. These "hairs" lie very close to the body that is strikingly elongated. I found this specimen rather close to one of our outdoor lights. A high resolution photo can be accessed here.